Lightly grease and line 2 x 20cm cake tins or a large oven dish. Rub soft Stork Bake into the dry ingredients with your fingertips until it looks like breadcrumbs. Beat water, eggs and buttermilk. Stir egg mixture into dry ingredients until well blended. Spoon into baking tins. Bake for 45 - 60 minutes or until a skewer comes out clean. Remove from the tins and cool. 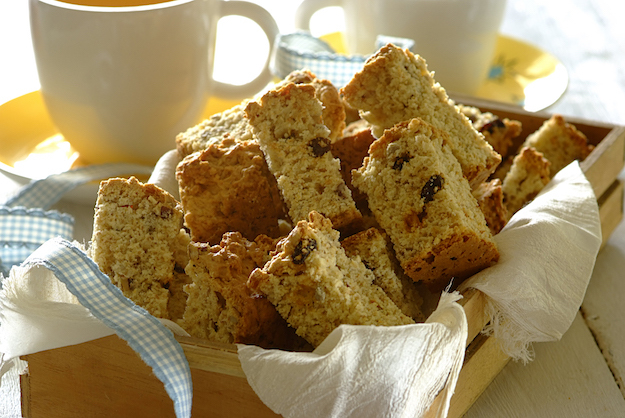 Slice into rusks and place on a baking tray. Heat oven to 100°C and dry rusks out for 6 - 8 hours or overnight. Cool and pack in an airtight container.